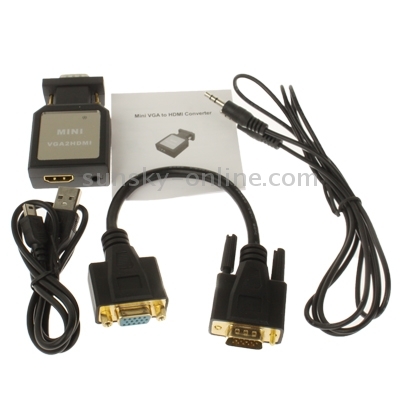 The Mini VGA to HDMI converter can convert analog PC (RGBHV ) and audio signal to digital HDMI format. 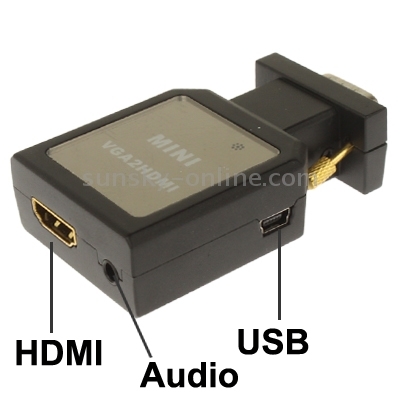 It can connect the analog HD-15 VGA output from PC to the digital HDMI input of the latest HD ready plasma, LCD or DLP TV. 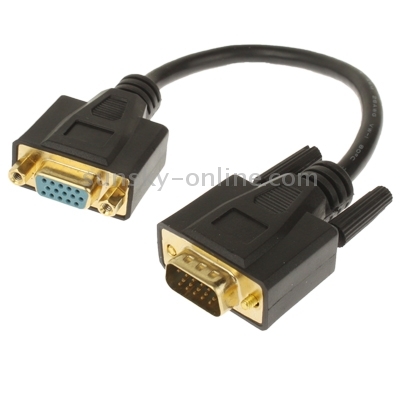 Its high bandwidth capability supports a wide range of PC and HDTV resolutions. Video and audio in full digital HDMI format, no transmission loss! Provides advanced signal and processing with great precision colors. Automatically identify the HDTV or monitor EDID by DDC channel. 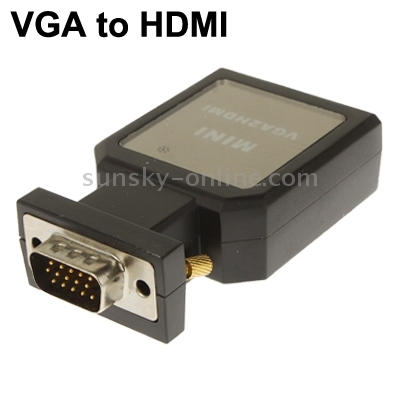 Adapt to HDTV or DVI monitor automatically. No power adaptor, no messy cords—just one HDMI cable. 3) Hassle Free! Plug and play.